Are you ready to have your house transformed into your dream home? If so, allow the talented professionals at Star Home Remodeling to take care of your renovation for you. From design to installation, we can handle the entire remodel for you, ensuring total customer satisfaction along the way. We will tailor all services to meet your specific needs to make certain your renovation is as stress-free and enjoyable of an experience as possible. This means that we will take the time necessary to provide you with all of the information about products and possible design options so that you can make the decisions that best meet your style, needs, and budget. When you partner with us for your home renovation, you can depend on us to provide you with a wide array of services to bring your dreams to fruition. 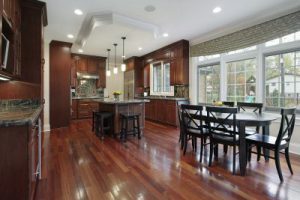 We can complete full-scale kitchen and bathroom remodels, home addition installations, and more. Our talented team can even custom-curate the perfect products for your home remodel. From custom-made cabinetry to spa-like bathroom features, we can match you with the perfect features for your home. We can even incorporate details, such as custom fireplaces and unique lighting fixtures to ensure that every aspect of your home remodel aligns with the visions you have for the space. Contact Star Home Remodeling today to learn more about the home renovation services we offer to homeowners in and around the Allen, TX, area. We’ll be happy to answer any questions you have and speak with you further about the outstanding products and services we can provide you with.